The Massachusetts Department of Elementary and Secondary Education's Special Education Surrogate Parent Program needs volunteers from the greater Bridgewater area who are interested in supporting the special education needs of children in their community who are in state custody. Volunteers, special education surrogate parents, become an important member of the Special Education Team for these children, helping them to promote positive outcomes and a more successful future. The next Volunteer Orientation Training is in Middleborough at the library on January 10th from 11AM to 3PM. For additional information on the volunteer job description, please click the image. A regional shelter is being opened at the Whitman-Hanson Regional High School for residents still without power. For a free ride to the shelter, call the Fire Department at 508-697-0900. BSU Campus Police will shuttle people to the shelter. The Bridgewater Senior Center will also be open until 9PM. Sr. Ruth Raichle, who is the Chaplain of the Norfolk Correctional Institute and the founder of Bethany House Ministries in Millis will be speaking about prison ministry and how to volunteer in the prisons in Bridgewater on January 21, 2011. The lecture will take place at St. Thomas Aquinas Church and will allow residents interested in prison ministry to learn about the opportunities that exist. Sr. Raichle's presentation will take place at 7:30 PM in the Parish Center at St. Thomas Aquinas and should you be interested in attending, please call Penny at 508-697-9528. Town Manager Troy Clarkson has declared a state of emergency for the Town of Bridgewater. Click the photo for a complete announcement. Around the Common wishes all of our supporters a very Merry Christmas. The Bridgewater Lions Club is sponsoring an American Red Cross Blood Drive on January 20, 2011 at the Conant Health Center located on Wally Kreuger Way. Appointments are currently open between 2:00 PM and 6:45 PM and everyone that donates blood will receive a free pound of Dunkin Donuts coffee. To sign up to give blood at this blood drive, please go to https://www.givelife.org/index.cfm?group=op&expand=810877&zc=02324 to register. I am writing to you to let you know some exciting news. On January 30th, The Well will be celebrating our Grand Opening at our newly renovated home at 232 Broad Street in Bridgewater, Massachusetts. We will commemorate this day with an open house from 12-5 pm. We would love for you to join us as we celebrate all that God has done to bring our dream to a reality. As we move into 2011, we are expectant that we will see lives transformed through the work that will take place in our new home on Broad Street. With the help of over 100 volunteers, we are near completion of a total renovation of our new home in Bridgewater. We are so excited for you to see our beautiful new space and begin to envision with us what God will do there. We will be offering a variety of services when we open, some of which will include spiritual direction, psychotherapeutic counseling, therapeutic mentoring for teens and young adults, spiritual formation groups, support groups, prayer and spiritual retreats. We also plan, as resources become available, to offer therapeutic massage, nutritional and fitness counseling, and psychopharmacology. We encourage you to visit our website at www.VisitTheWell.org for more information about our services. If you would like to join our team of donors, please visit our website at www.VisitTheWell.org and click “support the well” or send your donation to “The Well” at 232 Broad Street, Bridgewater, MA 02324. The Well is a recognized 501c3 organization and all donations to The Well are tax deductible. Please save the date for January 30, 2011 for the Grand Opening Celebration. 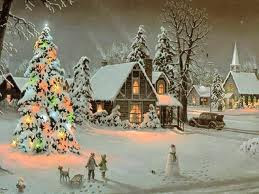 God Bless you this Christmas season and throughout 2011. A 5 week ASL program will begin at the Conant Community Center on Wednesday, January 5, 2011. Two levels of instruction are now being offered. Beginner ASL for those who have little or no signing experience will take place from 5:00-6:30pm. Advanced/voice off ASL classes for those who know and understand the fundamentals of ASL will take place at 6:30-8:00pm. Each class will include cultural content. Students can attend one or both classes however registration is required as space is limited. The cost is $60.00 which includes all materials. EMT/Paramedic hours as well as Professional Development Points will be awarded according to state guidelines. Donations to the community food pantry will be accepted before and after class. I was watching the news last night and saw a piece on a family that created this incredible “gift” for soldiers serving. They create gift boxes to send for those that have no family able to ship them items. I noticed that they have no one in this area that is a drop off and thought maybe we could all help. I am going to collect items over the next couple of days at my house located at 225 Main Street in Bridgewater. I am going to place two large Rubbermaid buckets close to the garage doors and if anyone would like to contribute that would be great. If you go to the BostonChannel.com there is a link to an article on the Operation American Soldier. Below is a list of items they are looking for and if anyone can help that would be awesome! Please feel free to forward as well. Snacks: Microwave Popcorn, Nuts, Pretzels, other type snack foods but be sure to send small packets, they go around much better, easier to distribute. Energy bars, healthy snacks, granola bars, fruit strips. Cookies: Single serving size packs. Food: Soups, Raman noodles, Tuna, any canned or packaged meals that can be microwaved. Kool-aid, Gatorade: and other powdered drink mixes, individual serving size are preferred. Dunkin Donuts: Flavored & Regular Coffee, Creamer, Tea bags, Cider Mix, hot chocolate. Clothes items: T-shirts, white tube socks, sports bras, bath towels. Misc. items: Q-Tips,AA batteries, black pens, blank note cards, envelopes. Letters & cards, they love to receive mail: notes of appreciation, drawings or a holiday cards. The Board of Selectmen have released their agenda for the 12/21/10 meeting. The meeting will take place at BTV Studios. 1. Change of Manager: Bridgewater Veteran's Club, Inc. The Children's Department at the Bridgewater Public Library is planning to start a Lego Club. Mrs. Davis, Children's Room Supervisor, would be thrilled to accept your donation of used Legos- any size, any color (excluding Duplos). If you have any questions, please call Cindy Davis at 508-697-3331. The Bridgewater Boy Scout Troop 88 is holding a fundraiser so that they can replace some outdated camping equipment. Scouts will come to your home or business and will take away real Christmas trees on Sunday, January 2nd or Sunday, January 9th. To schedule a tree pickup, please call 508.326.9409. The Bridgewater Housing Authority is accepting applications for housing. Submitting an application is not a guarantee that you will be housed in the immediate future, but the wait may be shorter than it has been in the past. Bridgewater veterans or spouses of veterans receive first preference followed by local residents. If you have any questions concerning the Bridgewater Housing Authority, please contact the main office there at 508.697.7405. As winter is upon us, snow storms and icing conditions require the sanding and plowing of public ways by the Highway Department. In years past this effort during snow storms has caused damage to several plow vehicles and put equipment operators in danger of personal injury when basketball hoops are left in driveways, on the side of roadways, attached to telephone poles or on tree lawns. Keeping Bridgewater's streets in a passable and treated manner during snow and ice conditions is imperative for the safety of all Bridgewater residents. Please remove any items, portable hoops, hanging baskets, or signage that might interfere with sanding and plowing activities. Should you have any questions regarding this issue, please call the Highway Department at 508-697-0931. The Friends of the Bridgewater Public Library are selling reading-themed mugs which make the perfect gift for your favorite teacher, neighbor or holiday party hostess. 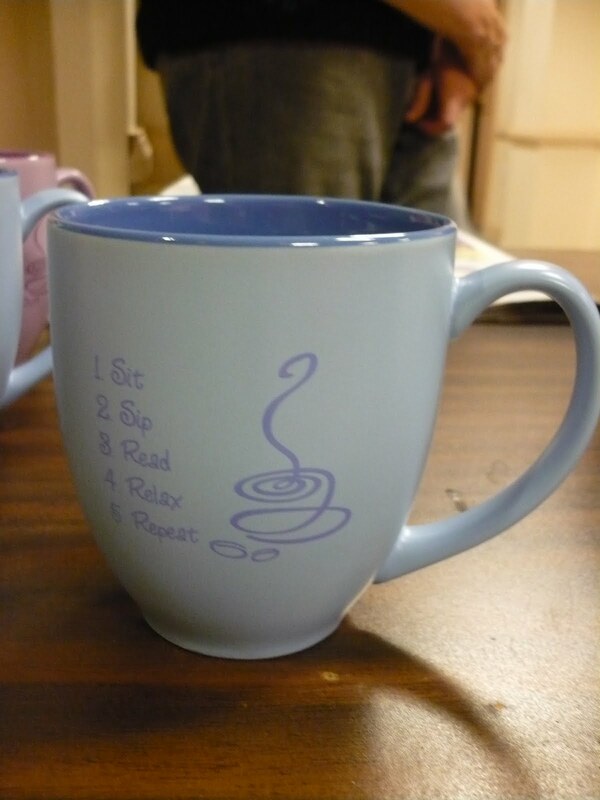 The mugs are available in both lavender and blue with a caption reading "Sit-Sip-Read-Relax-Repeat." The cost is $10 per mug and the proceeds go to benefit the Bridgewater Public Library. Mugs can be purchased at the library during normal business hours. With the help of a $7,720 grant from the Massachusetts Cultural Council the Bridgewater Cultural Council recently awarded arts grants totaling $8,349 to 16 individuals, schools and organizations. The grants include programs in music, drama, art and promotion of literature. In addition, the Bridgewater Cultural Council through its own Local Council Originated Grant of $600 has received approval to sponsor the Senior Painters-Lessons in Art Project. This program, under the direction of local artist and resident Bill Pincolini, is taught by artist and instructor Sis Denson. The Senior Painters meet at the Bridgewater Senior center and all are welcome to participate. The Senior Painters' artwork is currently on display at the Bridgewater Public Library and is expected to be displayed in several art shows throughout the area. "We are happy to be able to award these grants and fund these tremendous programs in Bridgewater," said Matt Putnam, Bridgewater Cultural Council Chairman. "At the same time we are slightly disappointed that such a small percentage of our grant applications came from Bridgewater artists/residents. We hope in 2012 to see a larger number of Bridgewater residents apply for funding through our council. The mission of the Bridgewater Cultural Council is to promote excellence, access, education and diversity in the arts, humanities and interpretive sciences in order to improve the quality of life for all Bridgewater residents and contribute to the economic vitality of the community. Members of the Council include Matt Putnam, Aimee Manzoni, Mary O'Connell, Angela Dimisioris, Joanne Giannino, Rebecca Mugherini, Mark Oliver and Nora Tarr. Dr. Forbes, superintendent of the Bridgewater-Raynham Regional School District was recently informed by the Commissioner of Elementary and Secondary Education of an upcoming Department of Elementary and Secondary Education Coordinated Program Review. As part of this Coordinated Program Review, Department staff will visit the district during the week of December 6. Special Education, English Learner Education, Civil Rights, and Records Review. After reviewing school district procedures for these programs, a Department team will make its onsite visit, during which it will review individual student records, interviews of administrators, teachers, and parents and observe instructional sites. A member of the visiting team will contact each person desiring an interview within two weeks after the completion of the onsite visit. It's a miracle each year that the Saturday after Thanksgiving the decorations on the Common appear. The question most asked is, "Why pay town employees to erect the decorations?" The least asked question is "Who is responsible for these great decorations?" The answer is the local Bridgewater Lions Club. There were 25 Lions who volunteered their time to set up the decorations this year. Approximately 150 man hours of labor went into this job. This tradition started 30 years ago when the town could not provide the manpower to decorate the common so the Bridgewater Lions Club stepped up and took it over. Lion Lenny Wood started with raw plywood and paint. Lenny was an artist and sign maker by profession. He teamed up with fellow Lion Don Swarce, who had carpentry skills and was a closet artist by desire, and their helpers, Lions members. The years went by and each year the handcrafted decorations grew. The tin soldiers, the gingerbread house and the gingerbread people, the carolers, the candy canes, the rustic New England church, the Nativity scene, the Hanukkah candles, Santa and his chair and mailbox, the sleigh and Santa's reindeer and the ever so popular train. Each decoration has its own story. Even before the train is completely set up there are children waiting to "drive the train" or "sit in one of the cars." As the Common changed, because of the great work of the Bridgewater Improvement Association, do did the need for more decorations. Those great cast lamp posts that are throughout the center of town were added to the list of decorating and this year there are 8-9 new lamp posts. It costs approximately $65 to decorate each post and the garland has a life of approximately 8 years. Now the $64,000 question is, "How are the Lions able to pay for these decorations?" The answer is simple, we fund raise all year round. We rely on the generous support of the people of Bridgewater. Though our main focus is to prevent blindness by raising funds to further Mass Lions Eye Research., Lions also purchase eyeglasses for both school children and others unable to pay for sight (with the cooperation of Dr. Geller here in Bridgewater for at least 20 years), sponsor youth sports, scholarships, hearing aids, etc. The monies collected go 100% into our charity account. No one in the Bridgewater Lions Club is paid, no percentage goes into administering the charity fund. We have not decorated the additional lamp posts this year because we are short the $600 to purchase the material, also we are short the cost of bulbs (75 cents each). Each year the Lions Club has set aside approximately $300 to maintain the decorations. This does not include the off season labor time, which begins when the decorations are removed the first Saturday after New Year's Day. Notes are taken which items need repair or replacement and then during the good weather a crew of volunteers spend many hours preparing for next year. Has anyone asked how do the lights on the large 55' spruce tree get installed? The answer is Rich Pretorius Electric and Proffety Electric. They each donated time and the use of their equipment to decorate the trees. How does the sleigh make its way to the Academy Building or the decorations to the common? The answer is Ben Ellis Towing. The angels were donated by a local resident whose dad had made them and passed away. The nativity scene was donated by a local artist and the train was built by inmates at Bridgewater Correctional Institute many years ago. On Wednesday, December 8th from 7PM-8PM, Rachel's Challenge will present at the Bridgewater-Raynham Regional Auditorium. Rachel Scott was the first student killed at the Columbine High School tragedy. 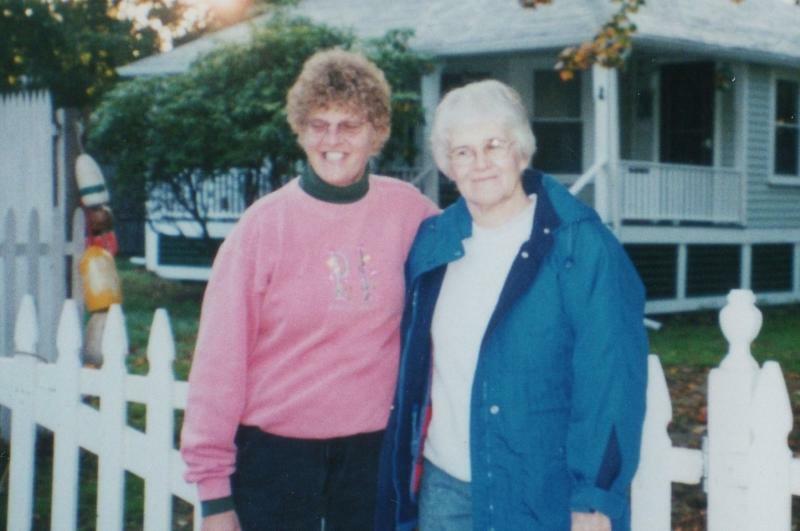 Her message was that through kindness and compassion, a chain reaction will start. The Senior Santa project is now in its 12th year. It is a community based project which bridges the school aged children of Bridgewater with the Senior Citizens in town. I work in conjunction with Kathy Hayes , the community outreach worker in town, who provides me with the names of any Senior in town who is either alone for the holidays, in crisis of some kind, or is home bound or has no way of physically joining in the Holiday festivities held at the Senior Center. We are 100% donation supported, so any kind of donation of items or funds are very needed and welcome. Last year we had over 300 children who donated, 150 children who volunteered for the wrapping party, and we were able to make dozens of baskets for the seniors. Lap blankets, hats, gloves, socks, envelopes, stamps, small gift cards to CVS, Walgreens, or Roche Brothers, teas, magnifying glasses, books, magazines, hard candy, holiday gift items, toiletries are some of the things that are always requested. Any money that is donated goes to supplies for the wrapping party which is to be held at the Williams Intermediate School Cafeteria on Tuesday, December 21. During the wrapping party, children and many families come to wrap items, put together baskets, listen to holiday music and have snacks. Once the baskets are complete, a group of parent volunteers and children will then deliver the basket's to the Seniors. This provides an opportunity for the kids to meet the seniors and vice-versa. Many wonderful and lasting friendships have come from this project and I don't know who enjoys it more, the kids or the seniors. Last year we had a few of the seniors who continued their involvement with their class by volunteering in the school and at school functions. If anyone in the community is interested in making any kind of a donation, that would be greatly appreciated. For more information, you can call Pam Lewis at 774.259.4442 or email her at Pam0324@aol.com. A Greens Workshop for Children will be presented by the Bridgewater Garden Club and is free to children. Children will learn about greens, hollies and cones and will design and make their own greens arrangements to take home. Pre-registration is required by December 10 and registration forms are available at the library or by calling 508-697-7617. Completed forms can be mailed to 60 Forest Drive in Bridgewater.